In American Slavery, American Freedom, historian Edmund Morgan delineates between societies with slavery and slave societies, the latter a society structured around the practice of slavery, while the former is not dependent upon it. 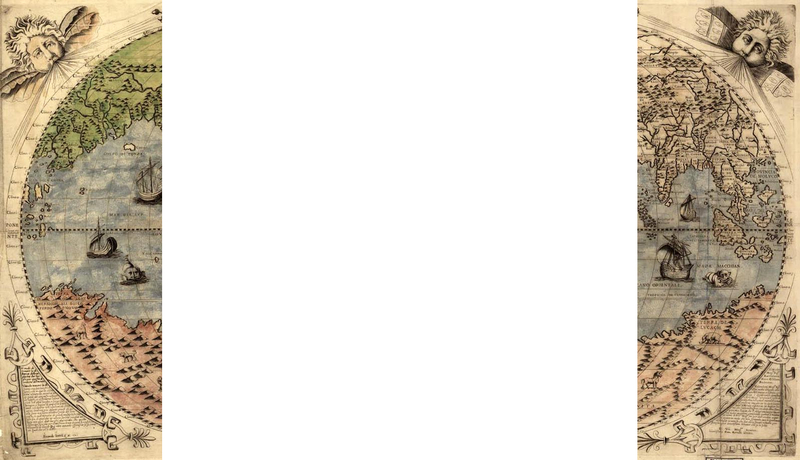 The construct is useful when comparing communities such as early modern Massachusetts and Jamaica. However, looking at a larger Atlantic society as a whole, it becomes clear that slavery was crucial and ubiquitous. 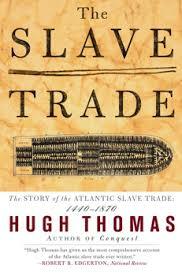 Hugh Thomas’ The Slave Trade shows how inextricable the slave trade was in life throughout the Atlantic world. Among many achievements in this volume stands the remarkable use of different sources. Thomas combines both quantitative and descriptive, qualitative information together with refreshing coherency and readability. For instance, in a discussion of the origins of enslaved people, Thomas writes of his conflicting primary source accounts: “it is a relief to find some statistical evidence,” and gives percentages that show only 30 percent of Sierra Leone’s enslaved were war captures (p. 372). Similar figures are used to suggest overall volume, mortality during migration, and to compare different export societies (Luanda, Calabar, etc. ), and the different nations involved in trans-Atlantic shipment and trade (Britain, Portugal, etc.) Figures on the volumes of other trade goods link textile and weapon production into the African trade. These kinds of sources evidence the scale and pervasiveness of the slave trade, underscoring the idea that the Atlantic as a whole was indeed a slave society, predicated on the kidnapping, sale, and forced labor of millions of people. Thomas weaves such quantitative data into a story rich with personal accounts and vivid narratives. Descriptions of African coastal geography and societies demonstrate the diversity and complexity of the trade. Details about slave ship conditions including the disease risks, physical organization, and food provisions bring to life the horrors experienced by so many, and the careful planning and accounting of the traders. One long passage uses the first-hand accounts of Mungo Park to describe enslaved people’s long march from the interior to the coastal trading areas. While numbers can show scale and extent, accounts like Park’s reveal how slavery entered into personal and family life, even in communities that did not ostensibly practice slavery. Taken together, this makes for a powerful statement of the prevalence of the slave trade and its enduring importance to world history. I found particularly interesting Thomas’ naming of stock-holders in the South Sea and Royal African Companies, including such luminaries as Daniel Defoe and John Locke. This information makes slavery at once highly personal because it attaches the slave trade to familiar individuals, and at the same time it extends responsibility, condemning kidnappers and slave-ship captains alongside the gentlemen and ladies who created the modern world. Ultimately this is perhaps the most powerful and disturbing take-away of the book—almost no one is innocent. Thomas’ masterful use of different kinds of source materials is laudable for many reasons: it engages with multiple facets of inquiry, it highlights broad overarching causal tends along with complexities, change over time, and individual agency, and it provides a valuable reference to other scholars including maritime historians. But more than this, Thomas has inspired me to think about the inherent or imbued meanings found in different kinds of source materials, and the ways these can be used to deepen and strengthen an argument. These book chats are intended to be just that—chats! So we would love to hear your thoughts and opinions in the comments below. Has the history of slavery impacted your work on maritime history? And how have different kinds of source materials influenced the direction of your work? Elizabeth C. Libero is a PhD Candidate at the University of Portsmouth, UK. Her thesis examines the Royal Navy’s role in knowledge production at the outreaches of empire during the Napoleonic Wars.